YES! I'd like to join the How To Build Your Personal Brand program, so I can learn how to build a brand like Tai's, before anyone else. By joining today, I promise to follow the lessons that'll help me build and monetize my personal brand. Reminder: This payment will show up as TAILOPEZ.COM in your bank statement. Your Information Secured Using The World's Best Technology, The Same Technology You Would Find At Your Local Bank. You're making a great decision! It doesn't matter if you already have experience or you're barely getting started. My How To Build Your Personal Brand program will guide and walk you through techniques not to be found anywhere else. You'll soon learn from me and people who're actually involved in building their brand every day. It doesn't matter if you don't have experience or money. You'll get all the tools necessary to begin. I'm all about making a positive change in the world and I want to make sure my students thrive. My support staff and consultants are standing by to help when you need it. 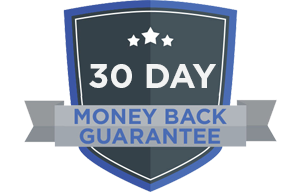 I also offer a 30 day money back guarantee so you have nothing to lose. My office is open 9am-5pm Monday - Friday and real life people are standing by ready to help you right now.